Scouts have the opportunity to earn the Iron Rod Medallion Award at summer Scout camp this year and in 2018. 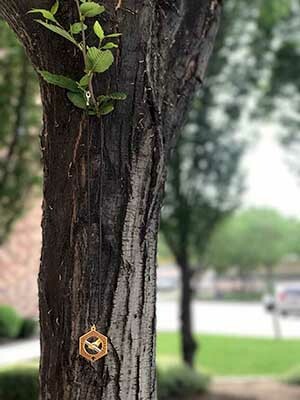 The Iron Rod Medallion's purpose is to remind Scouts and others to hold fast to the word of God for guidance through this day in age.This award is also available for any group looking for a spiritual award to offer to it's youth/adults. Every camping season the Utah National Parks Council creates a special award focused on a Scout's Duty to God. The medallion's design is a hand grasping the iron rod with the engraving "Hold Fast Unto It" from 1 Nephi 15:24. The award will be available for purchase at every camp trading post and at the Orem Office Outdoor Center/Trading Post after the young man or young woman has earned the award to their leader's satisfaction. Scout Leaders should feel free to change the requirements to suite the desired outcomes set by the group or church organization leadership.